This extension aims to enable charities to manage their supporters in a GDPR compliant manner. GDPR in itself does not introduce many new guidelines however it does make organisation appointed officlals directly responsible for any breach in guidelines and therefore has a degree of responsibility which had been missing from previous guidelines. It’s important to understand that simply implementing an opt in process and assuming all contacts are opted out overnight is probably not what is best for your organisation, there are many factors to consider before determining that a formal opt in is required. For example a membership organisation is well within its rights to assume that member communications are assumed opt in unless the member explicitly opts out. Its also a fair assumption where contacts have been imported from third party fundraising systems, where they can represent your charity and they have stated they are happy to be contacted by the charity they are fundraising for. The overall aim of this extension is to help organisations navigate the journey to GDPR compliance without compromising their presence with and income from their existing supporters. User friendly communication preferences, moving to explicitly worded opt in mechanisms. 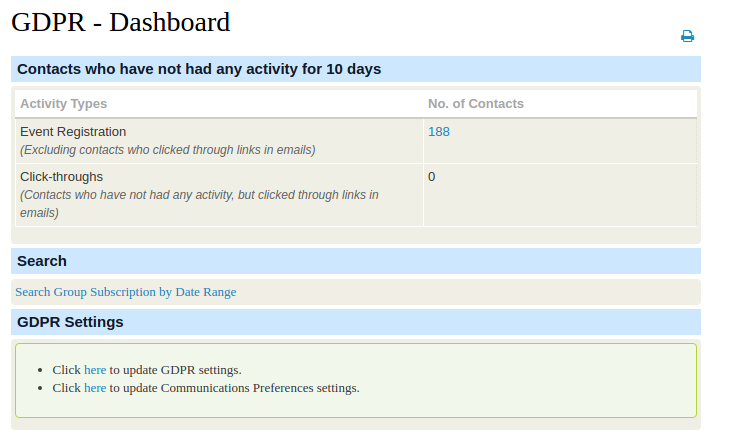 A forget me process - where a supporter has asked to be erased from the organisations CRM. We will introduce a button which will anonymise the contact without losing financial or any other history therefore keeping the performance history of the organisation in tact. Communication preference to include medium per group. 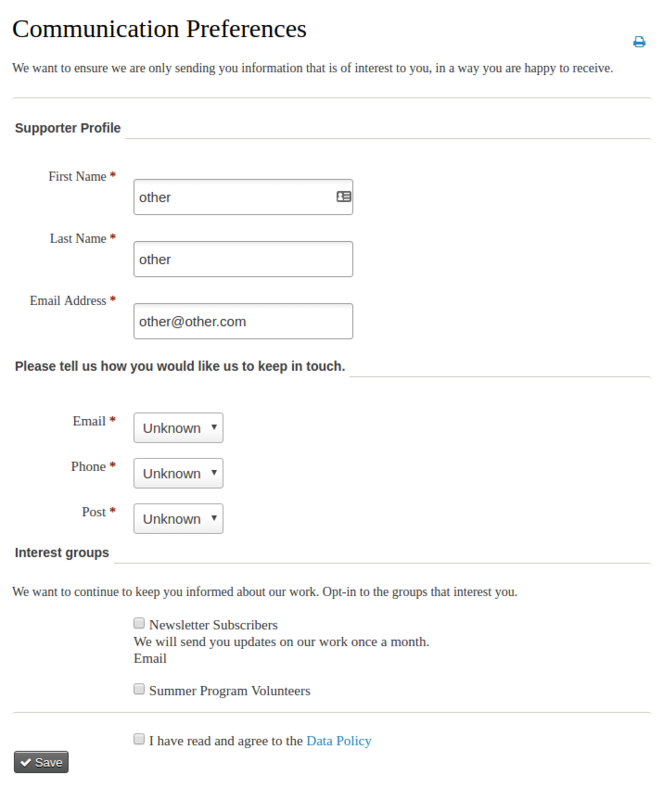 Currently CiviCRM supports include or exclude from a group but it does not allow for the selection of the communication medium that should be used for example happy to receive email newsletters but please don’t send me any other emails.